Oseco understands the need for high quality pressure relief devices in the energy industry. Oseco produces a wide range of rupture disc products used from the first phases in drilling to setting up a well for production. Our technical experts will help you specify your disc while taking into account the extreme conditions in the oilfield. 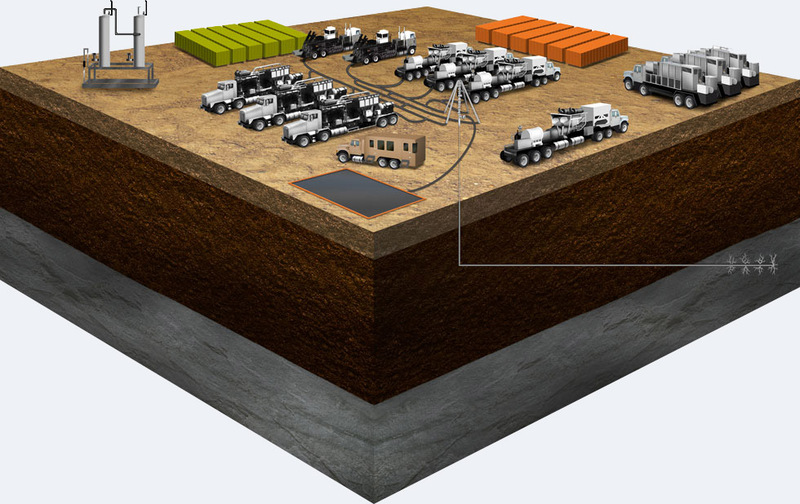 Have questions about oilfield applications? Contact an Oseco specialist at 918-259-7166 or email us at info@oseco.com. Rupture discs are generally used as secondary relief devices on production separators. 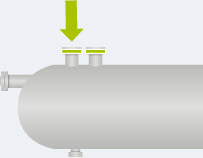 The rupture disc's pressure is set higher than the safety relief valve. 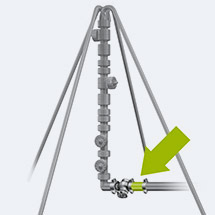 If the relief valve cannot handle the upset in the separator, the rupture disc activates to relieve the upset. Oseco also manufactures burst sensors that can be simply hooked in with the separators automation. In the event of an overpressure, the burst sensor will shut down the separator saving environmental damage and thousands of dollars in clean up. Transducers with kick-outs can slow pumps but do not immediately relieve pressure. The Oseco Safety Plug is the perfect passive and direct safety relief device to prevent dangerous and costly accidents (such as pumping against a closed valve). Operators specify the Safety Plug at the maximum pressure of the iron to ensure the safety of personnel and equipment.. 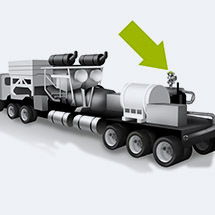 The safety plug can be mounted directly on top of the fluid end or on the discharge side of the pump. The plug activates in milliseconds and requires almost no maintenance for up to 6 months. 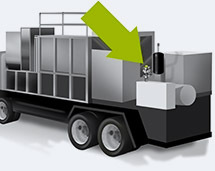 Oil and gas producers generally specify a safety relief device to be used on the iron preceding the wellhead. The safety plug is an excellent choice to protect the equipment in the well and the high pressure lines on location. A 2” or 3” Safety Plug can be mounted on one or more lines and is generally isolated with a plug valve, so the safety plug can be isolated in the event of an overpressure. A single 2” safety plug will provide more flow than the leading 3” pop-off/N2 valves. Since the plug comes preset with certs from the factory, there is no time spent adjusting and testing valves on site. Weighing less than 20 pounds, the unit can be easily installed by one man in less than a minute. Pressure relief devices for cement pumps can be easily clogged, creating maintenance and safety issues. 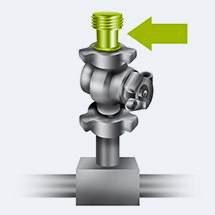 The Oseco safety plugs is designed to minimize maintenance and provide maximum safety relief. Oseco produces custom rupture discs for packer activation. Rupture discs can be used in place of shear pins for activation. Oseco can produce discs that are activated internally from the tubing or from the annulus within the casing. Oseco can produce discs up to 25,000 psig at your specified temperature.